IMPORTANT: As of March 2018, Tuck is unavailable. 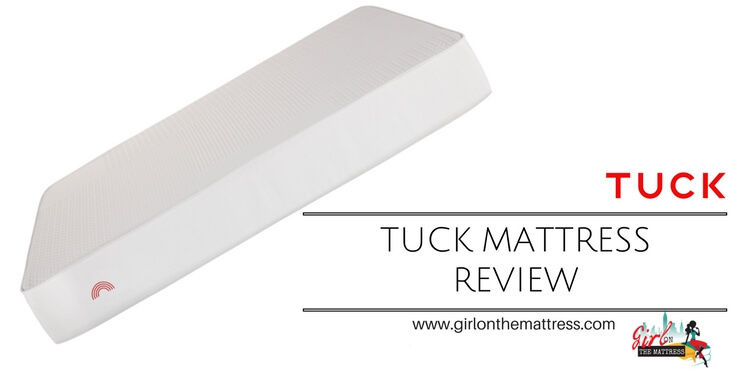 Tuck mattress is the new kid on the block! They let you customize your hybrid design with innerspring and foams including the split design for couples. As of March 2018, Tuck is unavailable. Please see other hybrid mattresses. First Layer: Made up of 1.5-inch copper infused gel memory. The foam is 3.5 pounds and infused with tiny portions of copper, which ensures a cool surface while providing various health benefits to the sleeper. Second Layer: Composed of 0.75-inch latex foam with a 3 pound weight. Third Layer: Composed of 1-inch micro coils, which adds plenty of great bounce to the bed. 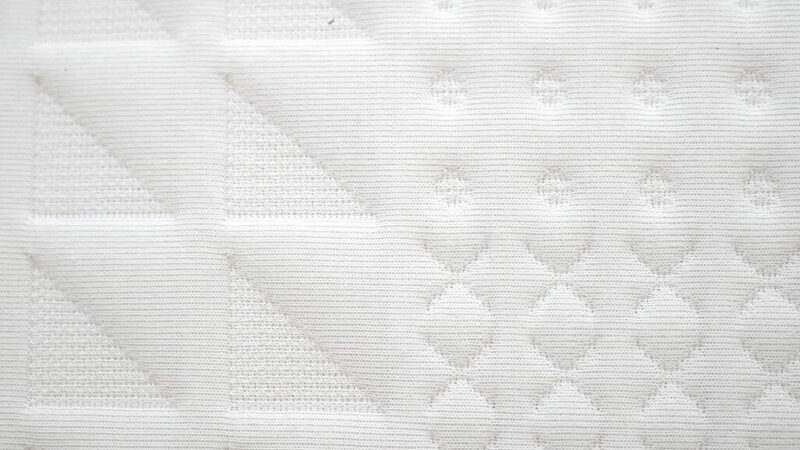 This layer is one of the keys to providing excellent comfort as well as a fun floating experience when you sleep. Fourth Layer: Made up of 6-inches of pocketed coils that ensure there’s good edge support and bounce for the bed. Fifth Layer: This .75-inch fifth layer serves as transition foam, dividing the made mattress from the base. Sixth Layer: Composed of 1-inch base foam with a 1.8 pound density. The base foam is durable and made from quality materials to ensure longevity. 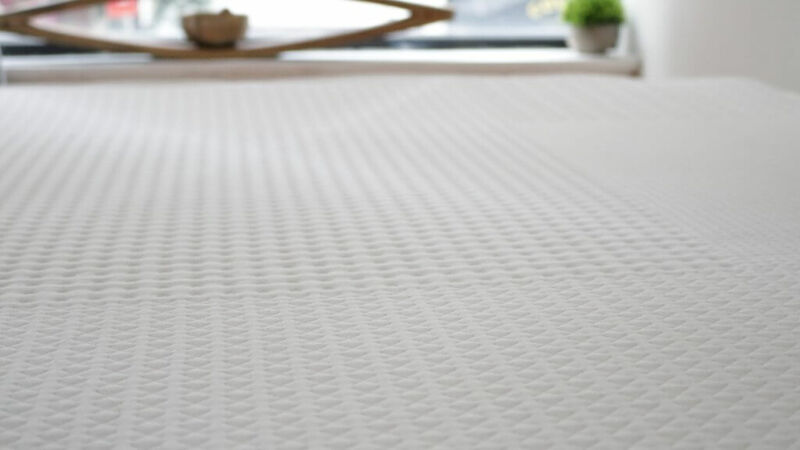 The Tuck Mattress has one of the most unique covers available in today’s selection. It’s made from a combination of polyester and nylon that features a cooling agent to provide excellent cooling when you sleep. 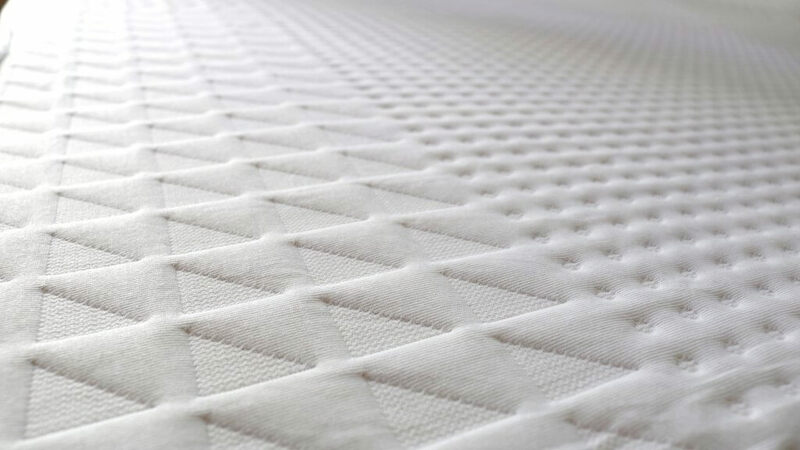 In addition, about 37% of the mattress is composed of a material called Repreve. These are crafted from recycled plastic bottles so in essence it’s a sustainable fiber. It’s also soft and comfortable while creating a chic touch to the mattress. 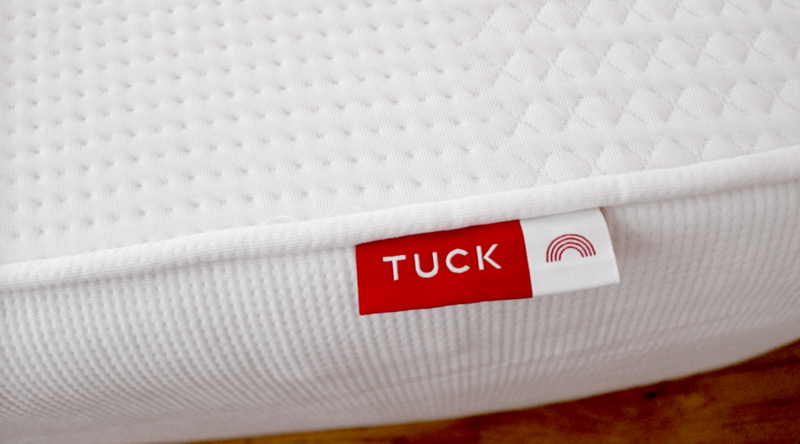 One of the best things about the Tuck Mattress is its capacity to conform according to the sleeper’s needs. 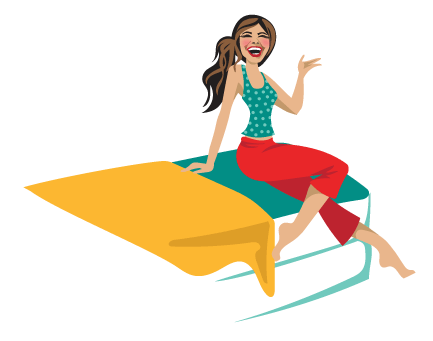 For this review, I got a chance to fully customize my own bed so the mattress I got was perfectly crafted for my sleeping needs. When you purchase, you need to answer a sleep questionnaire that helps the company create the perfect bed according to your needs. My mattress had a good medium firm feel with plenty of good bounce thanks to the micro-coils. I didn’t have a problem with sleeping hot and the cover was comfortable against my skin. The mattress provides enough support and also offers conforming capacity, giving the sleeper a nice floating feeling when they lie down. 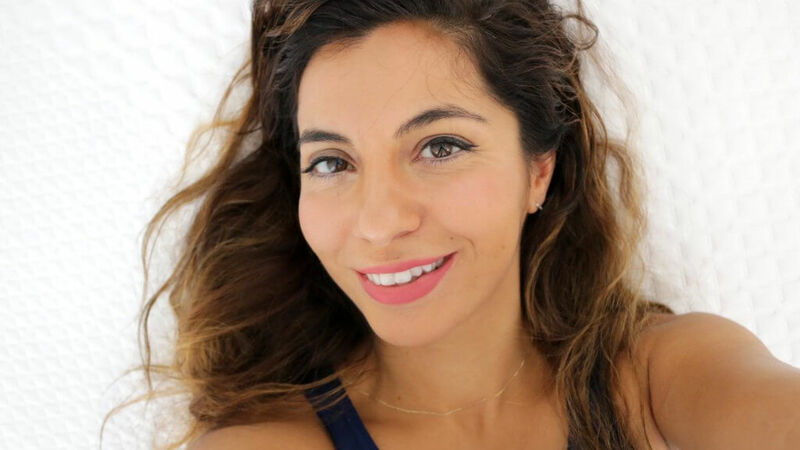 Overall, the Tuck Mattress has the positive advantage of letting you customize your own mattress and get the most ideal bed that you need. 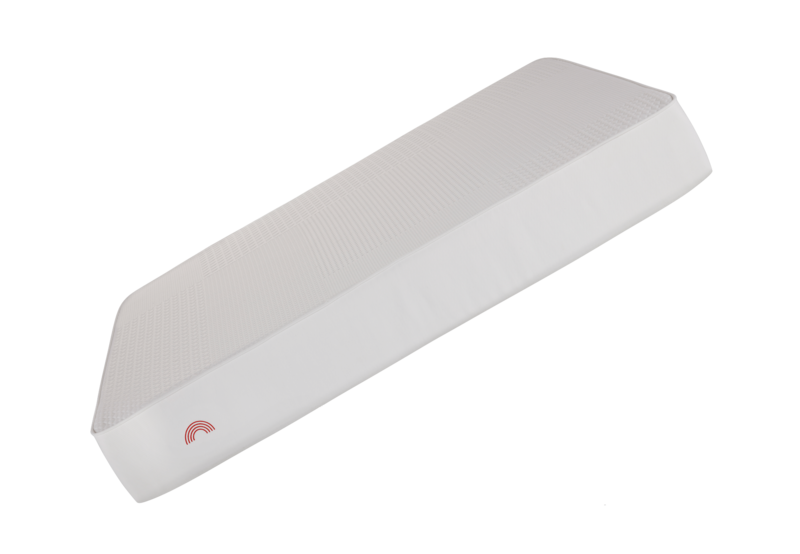 For the customization that you get, the price point is pretty good unlike most mattresses currently available in the market today. More than that, it’s ideal especially if you sleep with a partner because you can each get your own preference accommodated at the onset. 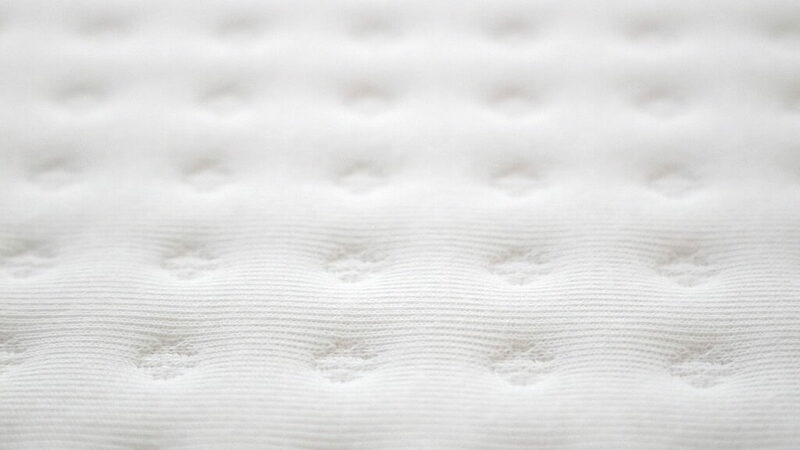 You get the best quality of materials with all the comfort and support you need when you sleep.